Marijuana affects more than the brain of the person using the drug. The heart and lungs are also affected. There are both short term and long term effects on the heart and lungs from smoking marijuana. With marijuana in the blood stream, the ability of the blood to carry oxygen is restricted. This means that vital oxygen is not flowing to the heart properly. This can lead to elevated heart rate and higher blood pressure. Continued use of marijuana can ultimately increase the chances of heart attack. On the lungs, there are a number of problems. Since marijuana is most often smoked, it is not surprising that many of the problems found in tobacco smokers are also found in marijuana smokers. The lungs serve as the entry point for the THC from the marijuana smoke into the blood. In the short term, smoking marijuana can result in a feeling of stinging and burning in the mouth and in the throat. A marijuana user may develop a cough and other respiratory problems, such as increased production of phlegm. Long term effects of marijuana substance abuse can result in lung and throat cancer, as well as less severe respiratory illnesses and problems. It is important to note that marijuana substance abuse can have effects on an unborn fetus. Some of the problems that result are similar to the issues faced by the children of mothers who smoke tobacco or use alcohol while pregnant. Marijuana use during pregnancy can contribute to low birth weight, which itself can trigger other health and developmental problems. Marijuana use during pregnancy has a great effect on the development of the unborn child. They may have difficulty with visual stimuli, as well show memory and learning problems. A high-pitched cry may also develop (this is a sign, in some cases, of neurological development problems). Marijuana use around young children can also impair their development. One of the effects of marijuana substance abuse on the body is addiction. Some people find themselves addicted to marijuana, and it can interfere with other activities. Indeed, marijuana addiction can affect performance at work and at school, and can affect social relationships and recreation. 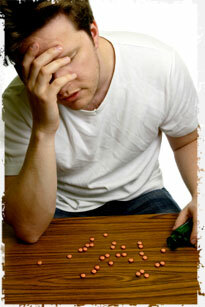 It is important to realize that a strong addiction can be devastating to more than one's health. It can also jeopardize relationships and social standing. When one tries to overcome marijuana addiction, the withdrawal symptoms can have their own effects. Withdrawal from marijuana use can result in insomnia and anxiety. Additionally, irritability can develop. In some cases, this irritability may be accompanied by an increase in aggression toward those nearby. Some people report depression as a result of stopping marijuana use. It is apparent that marijuana substance abuse has a variety of harmful effects on the body and the mind. Additionally, one's emotional health can be affected. It is important to get proper treatment for marijuana substance abuse in order to avoid some of the problems that can come with it.